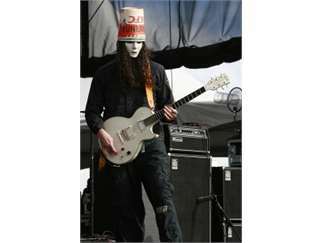 Buckethead is one of the more bizarre and enigmatic figures to be found in American underground and experimental music. 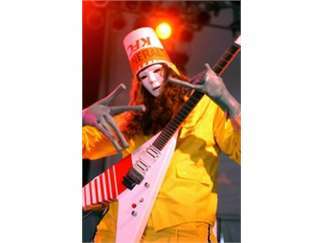 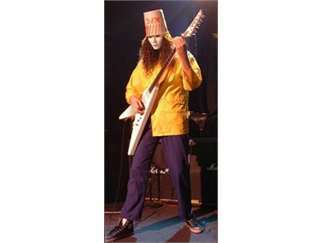 He is a virtuoso on the electric guitar, True to his name, Buckethead (born Brian Carroll) wears an inverted KFC bucket on his head along with a full-face white mask. 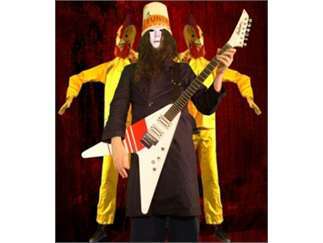 He produces elaborate stage shows, innovative musicianship, rapid-fire riffing, near-robotic fretwork and idiosyncratic ramblings that combine elements of Yngwie Malmsteen, Adrian Belew, avant-improv artist John Zorn and more.